Taken with permission from the ADVrider.com forum. If anyone is interested but doesn't have an ADV account please PM me and i will forward your details onto Jenny. PLEASE NOTE: - this bike is based in the UK, and priced accordingly - however, I am more than happy to prepare the bike for shipping and deliver to a UK port/airport at buyers cost. 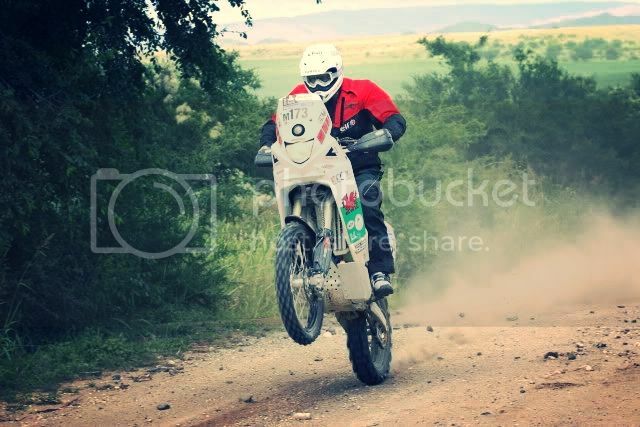 Alternatively, for any riders looking to compete in either the Tuareg or Hellas Rally in 2014, this bike could be delivered to that event fully prepared and ready to race, after which you can arrange your own shipping home. More details and spec below. 2010 model Yamaha WR450F - note this is the European model which comes fully homologated for road use, and is therefore eligible for FIM Production/Marathon class. This bike is road registered in the UK, from 1st April 2010 - one owner (myself), it is also currently MOT'd and Taxed. • Engine has been fully 'uncorked' with the correct jetting, together with the OEM 'Enduro' exhaust fitted. Otherwise the engine remains in standard tune. • Trail Tech up-rated Stator fitted, and electrical system converted to full DC - that is everything including headlight runs off the battery. • Rally kit is the JVO 'Lite' kit - that is 2 x 10 Litre front fuel tanks together with brand new carbon-kevlar fairing (2012-on model), navigation tower and LED lights. • Between the main tanks there is a separate custom made GMX alloy fuel tank with 5L capacity, with a dedicated tap allowing it to be used as reserve. Total fuel capacity is 25 Litres. • Mikuni vacuum fuel pump and heavy duty (crimped) fuel lines, with dry-break QR connectors for the side mounted tanks. • A single switched electric fan is fitted to the right-hand radiator. • 2012 (onwards) JVO carbon/kevlar fairing fitted (painted white gloss), with twin Vision-X Solstice LED headlights - one wide/low beam, and one spot/high beam - note: low beam is on permanently, high beam is switched as required. • 2012 JVO Navigation tower with brackets/mounting plate to accept a variety of Navigation Equipment (note. currently an MD roller roadbook and Touratech R50 IMO fitted, but not included in sale price - may be available by separate negotiation). • GPR V4 steering damper and bar-risers fitted. • Renthal RC High bend Fatbars fitted, together with foam grips. • All cockpit cables/wires routed and spiral wrapped for protection. • Barkbuster alloy handguards with 'Storm' shields fitted. • Stock seat has been reshaped with additional foam and professionally coved with grey suede. • Flatland Racing Alloy bash-plate fitted. Note. Twin custom water tanks by GMX that bolt to the bash-plate are also included in the package price, they have a couple of dents in them but are still serviceable. • Front KTM 'Adventure' Low fender on Meca'System brackets fitted. • Rear Acerbis WR fender in white fitted, with DRC LED safety lamp (FIM regs) to supplement OEM LED rear light. Metal full-size licence-plate hanger (easily removable). • Talon Rally wheels: Silver Talon billet hubs (with cush-drive rear) and heavy duty spokes - black Excel rims. Tyres are currently part-worn Michelin Deserts, with HD tubes. Note. package price also includes a full set of spare wheels - the original OEM Yamaha wheels (Excel rims), together with a second set of OEM discs/sprockets and unused Michelin Deserts and Mousses fitted. • As part of the full re-build earlier this year, the bike has had a full fork service (by Torque Racing), plus new brake pads, DID X-ring chain and sprockets. As part of the package price, there is also a box of consumable spare parts including brake-pads, cables, 7 air-filters (Twin Air), oil-filters, spare levers, spokes, bearings and other service sundries. As a package, this bike is ready to race at any International rally. Please PM me if you require any further information. Oh bugger it, I am too late too ask him now..